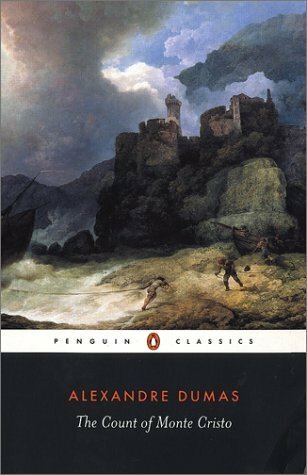 Why: The Count of Monte Cristo is a story about revenge and well, revenge. Actually there’s a lot more to this wonderful novel, but if we haven’t mentioned it before, one of the central themes is revenge. Young Edmond Dantés has the world at his fingertips. Drunk in love and recently promoted aboard his merchant ship, it comes as a complete surprise when he’s thrown in the middle of a scandal involving his loyalties towards Napoleon. Without trial Dantés is falsely accused and marched off to a lifetime imprisonment. Needless to say the main character is rather distressed by his fate and the individuals that perpetrated the injustice. Revenge soon becomes the motivation of his existence as he plots his escape. Does he achieve his ends? Does he realize that forgiveness is the better option? Does he develop an early prototype for a Flux Capacitor and time travel back to his parent’s high school prom? The answer to all 3 questions will only be revealed within the pages of the novel. We really enjoyed The Count of Monte Cristo and were easily swept into the suspenseful plot. The story was very well thought out and written in a way that kept us guessing until the end. The characters were also intriguing, although there were a lot of them and a few enjoyed the occasional name change, which left us mildly disoriented. These occasions were rare however, and overall we encountered only a few difficulties following the frequent twists and turns. Is the text very accessible? I've never read any Dumas. Read this for the first time a few years back and loved it. I like it more than The Three Musketeers by quite a bit, and while Dantes is certainly not a virtuous character, he is fascinating. I just finished this one myself and agree that Edmond is fascinating. I loved the irony of the consequences he unwittingly created while revenging those whose actions charted the course of his life.